As for now there are not much areas where the OneNote app for Windows is ahead of OneNote 2016. One of them is related to the search for special chars as prefixes to give you an alternative to the rather weak tagging system. Up to now all OneNote versions, even OneNote 2016, have been ignoring special characters in search terms. Searching for the term “#Tag” for example ignores the “#” and will retrieve all occurrences of “Tag” without the prefix as well. 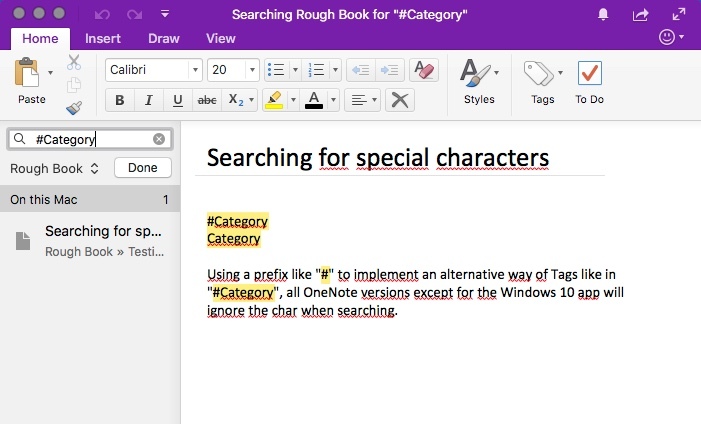 This is even worse on MacOS: If you search for “#Tag” on OneNote for MacOS, not only all “Tag” and “#Tag” will be in the results, but even single “#” chars. Also see pictures below. Windows 10 App: A search for “#Category” will only find occurrences of this exact combination. This makes it possible to use special char prefixes as tags. Windows 2016: The prefix “#” is obviously being ignored on searching. “#Category” is found as well as “Category” without the special char. So you can’t use prefixes like this as a text-based tag. 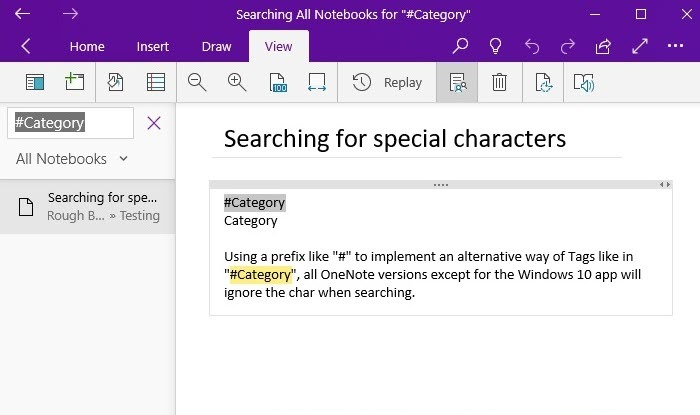 OneNote for MacOS: The search term “#Category” seems to get split when searching. “Category” without the prefix is returned as well as “#” alone. Does not make sense at all. 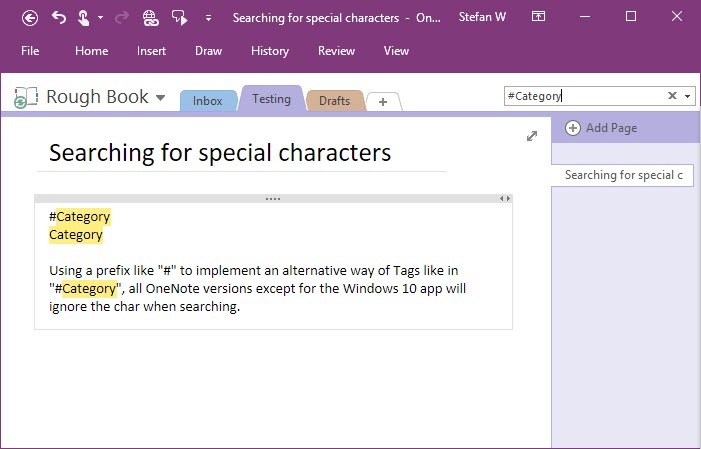 Of course this does not replace a useful tagging system which is still missing on all OneNote versions. Except for OneNote 2016 you can’t even search for tags and even on that desktop OneNote the search function and tag filtering is rather weak. Let’s hope for serious improvement in the future here. Previous Does the OneDrive Change in Win 10 (1709) Affect OneNote?